By Melissa Lennig on January 13, 2016 3 Comments. This content contains affiliate links. As an Amazon Associate I earn from qualifying purchases. 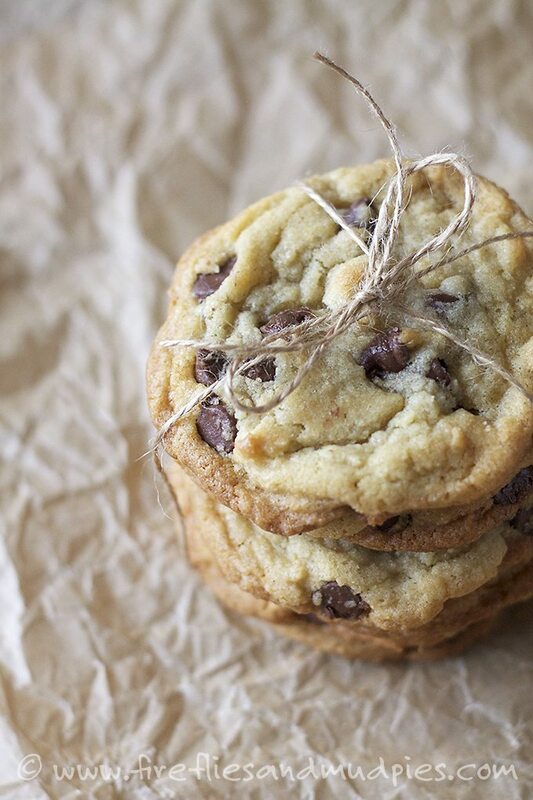 Is there anything more comforting than warm chocolate chip cookies? The smell of them baking draws everyone to the kitchen, bringing delight and togetherness to the entire family. 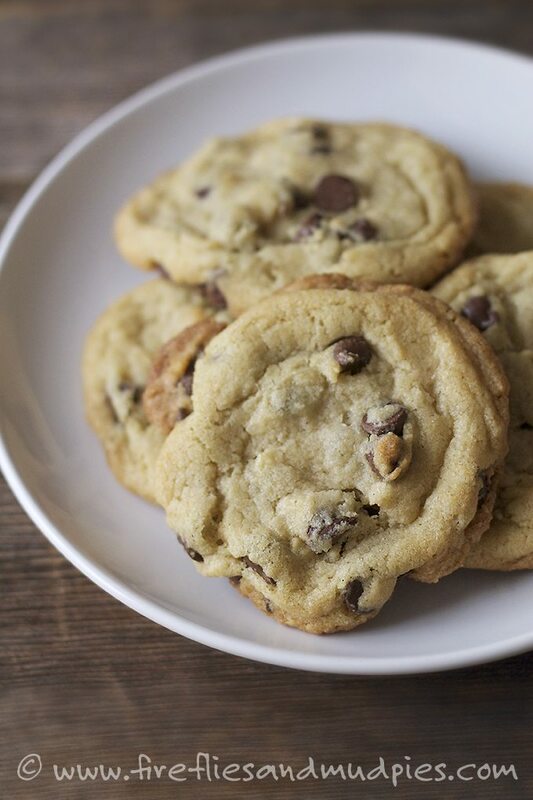 Golden, soft, and crispy, these are the perfect Chocolate Chip Cookies! I know because my family says so. I often triple this recipe to make a mega batch! All of the cookies go into the freezer, where they stay fresh for school lunches, playdates, and surprise guests. Cream the butter and the sugars together in a bowl. Beat in the egg and vanilla. Mix the baking soda, flour, and salt into the batter. 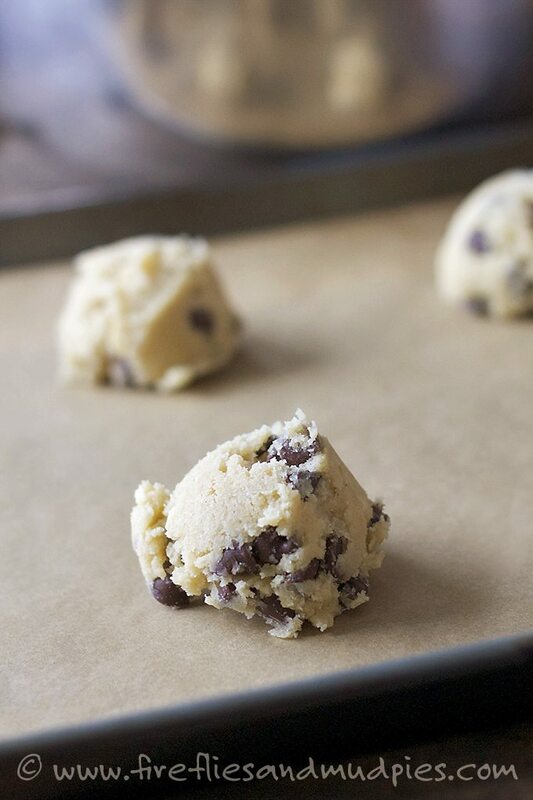 Drop the dough by rounded tablespoonfuls onto a parchment lined pan. Bake 8 minutes or until golden. Makes about 4 dozen cookies.